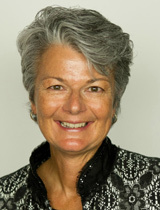 Dr. Jenny Darroch is a Professor of Marketing at the Peter F. Drucker and Masatoshi Ito Graduate School of Management and founder of Mollior.com. She is an authority on marketing strategy and has a special interest in market definition, market segmentation, and marketing to women. Author of three books including Marketing Through Turbulent Times and Why Marketing to Women Doesn’t Work and over 30 research articles. Dr. Darroch holds graduate degrees in marketing, economics, and international business and a PhD in Marketing, Knowledge Management and Innovation. Dr. Darroch is an experienced speaker, facilitator and educator. She mostly teaches Executive MBA and MBA students at the Drucker School and is always focused on the intersection of theory and practice. In addition, she speaks at a range of events from international conferences to local management meetings. Dr. Darroch is a Professor of Marketing at the Peter F. Drucker and Masatoshi Ito Graduate School of Management. Here, the faculty work together and deliver a signature course called "The Drucker Difference". Drucker was considered the father of modern management and yet he had a profound impact on the practice of marketing. Drawing on a lot of Drucker's work from 1964, Dr. Darroch presents the highlights of her research on Drucker and marketing and illustrates just how relevant many of Drucker's ideas are today. Organizations often have lofty growth objectives, yet managers struggle to identify new initiatives to meet these targets. This talk is based on Dr. Darroch's signature course at the Drucker School of Management. In this talk, Jenny introduces a framework she has developed called The Problems-SolutionsTM Framework, a framework for generating growth. Because the Problems-SolutionsTM Framework blends customer problems with product solutions for those problems, Dr. Darroch weaves together concepts from big data, marketing research, internal capabilities, new product development, and marketing principles in a way that is easy to understand. The Problems-SolutionsTM Framework challenges conventional wisdom and provides a refreshing approach to growth. Managers and leaders within organizations need to be attuned to the latest trends and developments, and take time to think about how these trends and developments might impact their organization's future. As an active researcher, marketing authority and futurist, Dr. Darroch spends a lot of time absorbed in data, identifying consumer trends, and considering how these trends will impact marketing strategy. Dr. Darroch has packaged her research into a talk that highlights the latest consumer trends and identifies questions for the audience to consider as they link Dr. Darroch's findings back to their organization's strategy. Many organizations now recognize that women make up 85% of all purchase decisions and are therefore economically important. With good intentions, organizations begin to modify their marketing program to more effectively target women today... and then wonder why the results are not what they expected. Dr. Darroch has distilled the findings in her book, "Why Marketing to Women Doesn't Work" into 10 simple principles. The talk begins by encouraging the audience to consider where their organization is on the "Marketing to Women" spectrum and to establish appropriate "Marketing to Women" goals - for example, some organizations already target women and simply want to ensure they aren't "leaving any money on the table", while other organizations have traditionally overlooked the influence of women on purchase decision making and want to reach out to women more. Dr. Darroch then outlines a specific set of guidelines on how to more effectively market to women. The overarching conclusion is that an organization that improves the way in which it markets to women, will improve marketing practice overall. The talk can be customized for organizations depending on where they are placed on the "Marketing to Women" spectrum. At some time in the future the recession will end. But what will happen then? How will customers respond to organizations that mistreated them in the past? What can organizations do now? Marketing Through Turbulent Times addresses these questions by tying together four themes: democracy, economic recession, individual depression and customer-centred strategies. Written for decision makers who want to ensure that their marketing strategies are not only relevant for today's difficult environment but will also provide a solid foundation for future growth, this book is an invaluable resource for anyone making strategic marketing decisions. Marketing Through Turbulent Times is a common sense, accessible book about marketing that provides a range of tools, principles and approaches for managers wanting to fine tune their current marketing strategies today and identify innovative growth opportunities which will allow them to lead their organization toward a robust future. Women are now seen as the largest, most lucrative and most active market of all. Increasingly, organizations are fine-tuning their marketing strategies to better reach women, yet they continue to target them incorrectly, which risks alienating both their female and male customers.